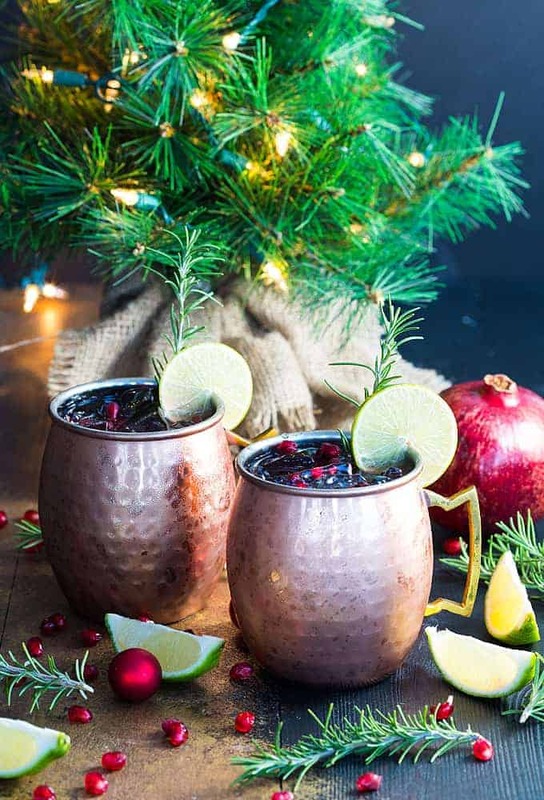 Today I’m sharing this festive, beautiful and delicious Pomegranate Moscow Mule that’s guaranteed to be a holiday crowd-pleaser! 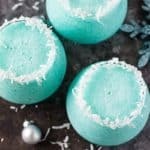 I couldn’t be more excited to share this recipe with you. 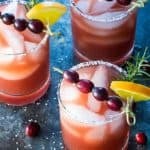 This cocktail is crazy easy to make and soooooo very pretty if you garnish it with fresh rosemary sprigs, lime and some fresh pomegranate arils. 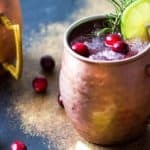 I used non-alcoholic ginger beer in this recipe because I couldn’t find any ginger beer with alcohol in it. I was able to find it in the soft drink section near the ginger ale. 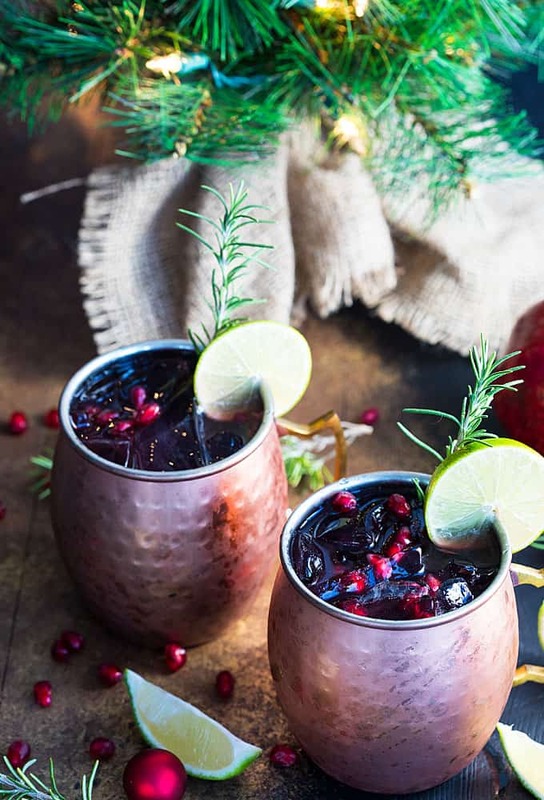 If you want to kick this up a notch, use ginger beer with alcohol. 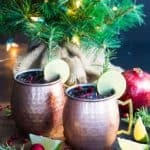 This recipe yields just a little over 2 cups, which was enough for 2 of my Moscow mule mugs once they were filled with ice. 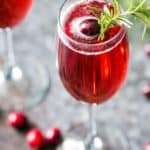 The pomegranate arils aren’t necessary, but are such a beautiful and festive garnish with lime and fresh rosemary. 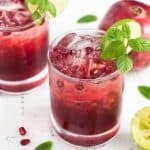 Here is an awesome tutorial on how to cut and de-seed a pomegranate if you’ve never done it before. Please drink responsibly and have a wonderful holiday. Merry Christmas and cheers! 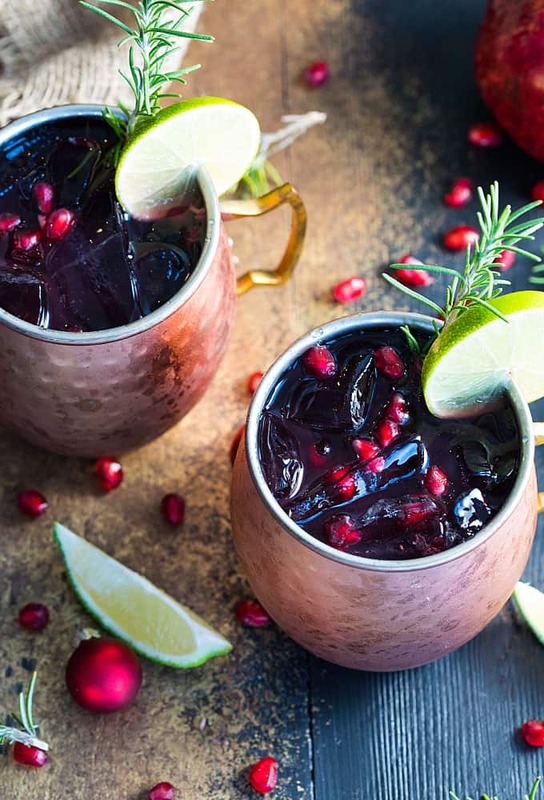 Pour vodka, pomegranate juice, beer and lime juice in a copper mug filled with ice. Gently stir to combine. 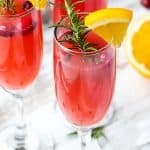 Garnish with fresh rosemary sprigs, lime wedges and fresh pomegranate arils, if desired.